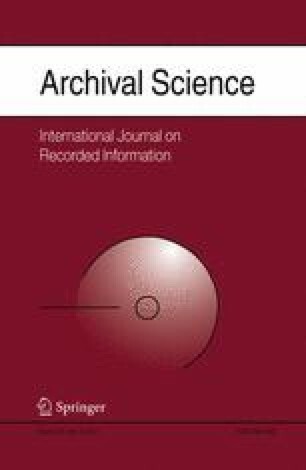 This paper advocates the necessity of developing a pragmatic alternative to the dominant custodial theorization of digital curation as an “umbrella concept for digital preservation, data curation, electronic records, and digital asset management”. Starting from a historical account and an examination of prevalent definitions, it points to the current dependence of digital curation on a prescriptive approach rooted in its cognate field of digital preservation, aiming to serve the needs of professional stewardship. It demonstrates the disconnect of this theorization with the rich historical traditions of museum curatorship where the notion of curation originated, its inability to act as a framework for understanding the diversity and pervasiveness of contemporary digital curation practices “in the wild” (such as content curation, personal archiving, and pro-am digitization), and its dependence on a “wild frontier” ideology dissonant with contemporary critical cultural heritage scholarship. The alternative, pragmatic approach views digital curation as a “contact zone” practice, routinely performed by a broad range of actors including researchers, artists, users, and communities, on dynamically evolving objects, domain knowledge representations, and interactions, beyond the curation life cycle prescribed for custodial environments. On this basis, this study calls for a formal reconceptualization of digital curation, adequate knowledge representation of its objects, evidence-based research on curation practices, and establishment of curation-enabled digital infrastructures suitable for curation in the continuum. Reaching beyond a custodial view, this approach aims to establish digital curation as a field of intellectual inquiry relevant to emerging pervasive curation practices in the digital environment. The author wishes to thank Panos Constantopoulos and his colleagues at the Digital Curation Unit, IMIS-Athena Research Centre for fruitful collaboration, exchanges and insights, as well as to Seamus Ross and the anonymous reviewers for valuable comments. This work was partially supported by the eCloud – Europeana Cloud: unlocking Europe’s research via the Cloud, (Grant Agreement No. 325091) and LoCloud – Local content in an Europeana Cloud (Grant Agreement No. 325099) projects of the ICT Policy Support Programme, as well as by the ARIADNE – Advanced Research Infrastructure for Archaeological Dataset Networking in Europe (Grant Agreement No. 313193) project of the SP4-Capacities e-Infrastructures Programme of the European Commission.